"It seems a tremendous revelation to many women that they can expand their horizon more as a SAHM than as a worker bee on someone else's schedule, using only certain required abilities"
You know, I just realized within the last couple months that I just now, that I stopped working, have hobbies! As a single, working mom, I remember people asking me what I did as a hobby, or for fun. I would typically tell them that I enjoyed reading but remember thinking, "Hobby? Who has time for a hobby?" My life was filled with responsibilities and obligations. I had no time for things that didn't have an express purpose. Even "fun" was scheduled into the week and was included because I knew as a human being that I needed it, so thus I must make time for this thing called fun. Now, I enjoy knitting and learning new recipes. I want to learn how to sew, but that must wait until my infant is old enough to play on her own for a while and need to nurse less. In any case, knitting can be done in my lap, which works quite well in my current situation. Who knew I could be so domestic?! "Venting every feeling isn't mature. Learning to deal with uncomfortable and unpleasant feelings is an important aspect of maturity. The pop-psych notion that you have to divulge every unpleasantness or you will have gangrene of the soul and spirit is ultimate nonsense. 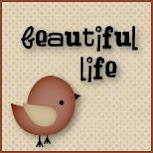 Learning to endure, transform by perspective or action, and be grateful is the fast lane to a good life." When I read this, I just had to chuckle a little bit. I remember within the last 10 years, I was telling people exactly what I think all the time, thinking that filtering was not acceptable and they should hear everything I'm thinking. The fact is, not all of our thoughts are meaningful to the outside world. The sooner we learn this, the sooner we can grow up and learn to handle tough situations without bringing the world down with us. Overall, I enjoyed the book as a pick-me-up in a time of transition for me. (Yes, I'm taking a long time to transition to being a SAHM!) Her arguments were emotionally charged, which doesn't have the ability typically to change my mind in any matter, but it felt nice to have some validation on what I'm doing.